FORMUFIT 1 in. 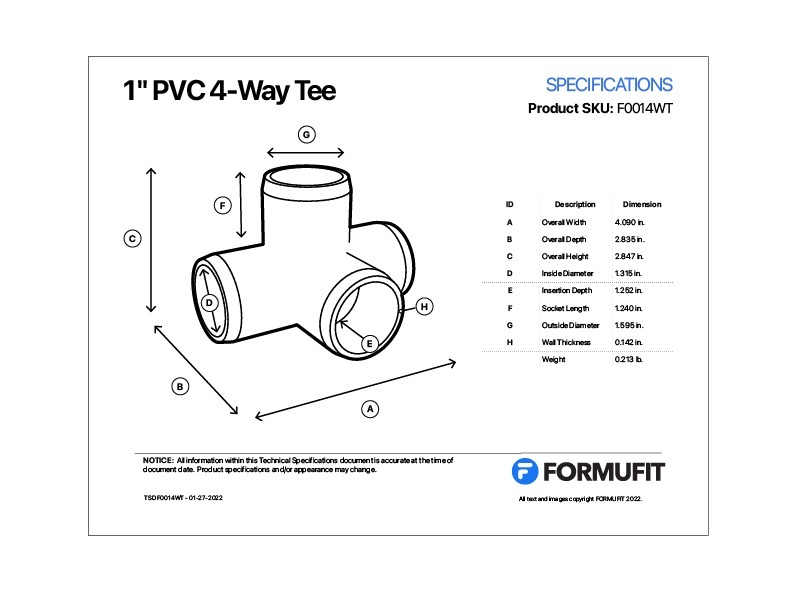 4-Way PVC Tee Fittings are an easy solution for offset or tiered structures made from PVC pipe. These fittings give your projects the extra dimensions it needs. 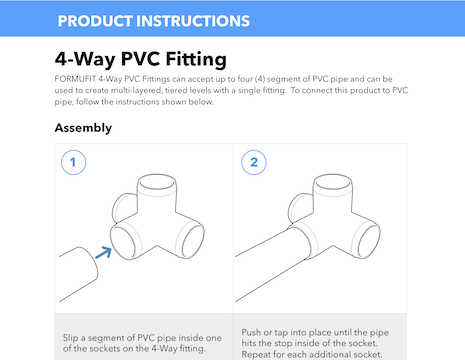 This structural Furniture Grade PVC 4-Way fitting connects 1 in. Size PVC pipe at four points on three planes for multi-tiered connections. There are three sockets on the same plane, and a fourth to allow perpendicular connections on top. These fittings deliver capabilities you wont find with plumbing-grade fitting options. 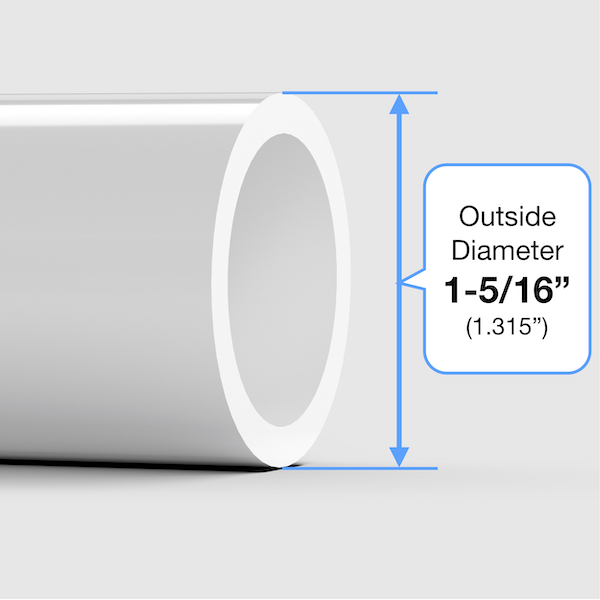 Fits over 1" Size PVC pipe, which has an outside diameter of 1-5/16" (1.315"). Connect segments of pipe to create multi-layered, tiered levels with a single fitting. Infused with non-toxic impact modifiers in the resin for durability and repeated abuse. Extra deep sockets allow further pipe insertion for a more secured, stronger hold.